Hurricane Sandy proved to be a trial for many of us. My wife and I were fortunate, and our home suffered no major damage. The storm did, however, test the paint job I’d recently completed in the basement of our new co-op. This apartment complex—a set of brick buildings with slate roofs and stone foundations—was completed in 1918. When moving in just a month before the hurricane, our basement looked as though it hadn’t been touched, or even cleaned, since the ’40s. The first thing I did was haul all the junk to the dump and scrub the floor and walls with TSP. Wherever the paint was loose or flaking, I used a wire brush. Though walls and floors had been painted in the distant past, about 20% of the surfaces were bare by the time I’d finished cleaning. After allowing everything to dry for a few days, I spot-primed the bare spots using Zinsser’s BIN primer-sealer. Then came two coats of paint. For the walls, I used Sherwin-Williams Super Paint in a satin white. When rolling paints on a rough surface like stone, I recommend using a thick-napped roller cover. For me, one coat was enough. 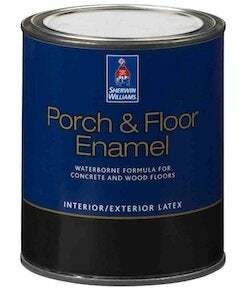 On the concrete slab floor, I used Sherwin-Williams latex Porch and Floor Enamel, also in a satin finish. For the fun of it, I asked to have the paint tinted a deep cayenne red. When we arrived the next morning, the basement more closely resembled a swimming pool. Once we had managed to have the floodwater pumped out (65 inches in all), down I went to examine the damage. Much to my surprise, the paint on both the floors and the walls looked fine, except for a thin film of a clay-like silt. Another scrubbing or two with TSP, followed by sponging with a bleach and water solution, and the basement looked freshly painted again. Lessons learned? First, I now have a greater respect for today’s paint technology. Not only are today’s latex enamel paints more people- and earth-friendly, but they also perform incredibly well. Chalk one up for regulations that have lessened the extent to which petro-based paints are used. 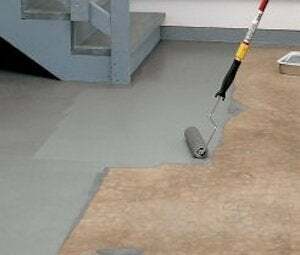 There is simply no need for homeowners to get involved with oil-, alkyd-, and epoxy-based paints. They are difficult to apply, give off noxious fumes, and the leftovers are a pain to dispose of. Second, I was happy that I didn’t choose to finish my basement with conventional walls and floors. My neighbor has spent weeks ripping moldy drywall from his basement, and some of his vinyl floor tiles were loosened by the ordeal. Third, I gained firsthand knowledge about how water leaks into my basement. That it poured in through the basement windows and bulkhead door was to be expected. But in the days following the storm, after the basement had been pumped dry, several inches of water leaked back in. The sea water had, in effect, temporarily raised the water table. 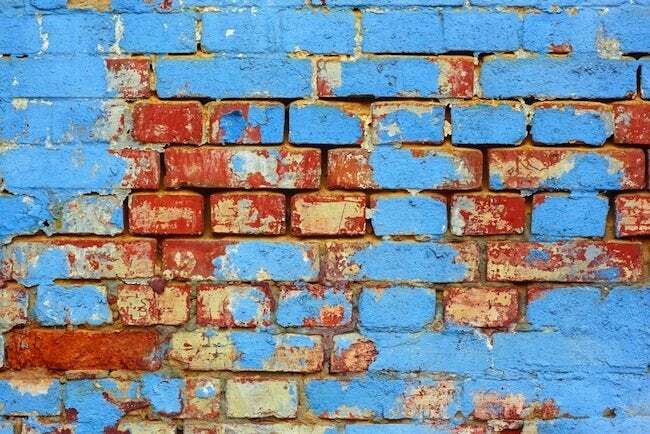 The interesting thing was that the water leaked in through the joint at the base of the foundation wall and slab—not through the mortar joints of the painted wall. This makes me feel pretty good about the long term prospects for my paint job. If it held up to flooding and the scrubbing that followed, it should last for many years.